Who is brave enough to put their bodies on the line to test our ninja accessories? We are. 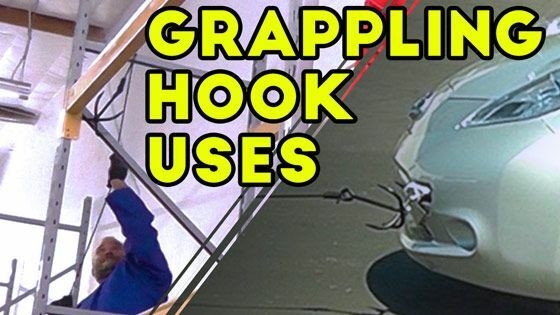 At KarateMart.com, we sell the Ninja Grappling Hook. This ninja accessory has a long tradition around the world, though the it is strongly associated with feudal Japan, when ninja assassins would scale castle walls with kaginawa to assassinate powerful enemies. If you haven't already, don't forget to follow us on your favorite social media networks. You can even like and subscribe to our YouTube channel to see us post fun new videos. Subscribe to our mailing list to get all kinds of deals, specials, and early access to our contests.